Beautiful, highly detailed, medal of St. Teresa holding the crucifix and roses. 7/8" round medal in sterling silver on 18"L sturdy rhodium steel chain. Gift boxed. 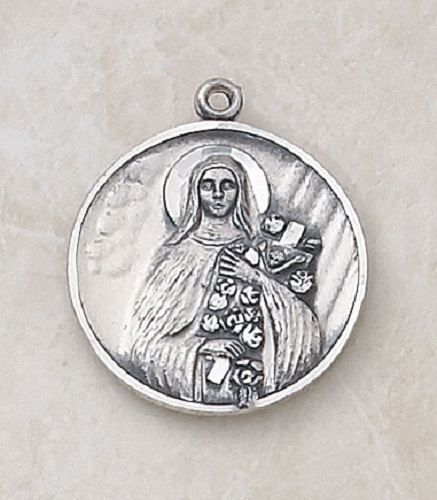 This lovely devotional medal makes the perfect gift for Confirmation girl taking the name Teresa. Perfect for all those who have a devotion to this great saint.